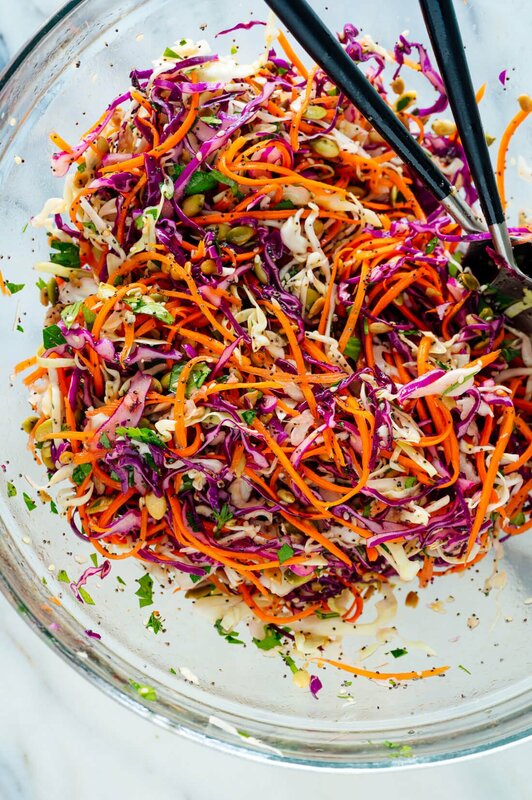 Let’s talk about this healthy slaw recipe. It’s proof that sometimes, the most humble of ingredients can make for the best recipes. Take cheap cabbage, with all of its potent antioxidants, and toss it with carrots, the humble root vegetable that is packed with beta carotene. Drizzle in a simple, garlicky lemon dressing (no mayonnaise or vinegar here). For extra texture and savory flavor, add some freshly toasted seeds to the mix. Toasting them makes all the difference. Ta da! You have a colorful coleslaw that’s bursting with fresh flavor and amazing health benefits. This slaw is one of my favorite simple side dishes, so I’m sharing it today with updated photos in the hopes that it recaptures your attention. It keeps well in the fridge for up to four days, so it’s a very easy way to add a burst of color and fresh flavor to your meals. Of course, this slaw goes great with veggie burgers and grilled mains in the summertime. It would also be fantastic with my vegetarian chili, sandwiches of any kind, and rich meals that need something light for balance. 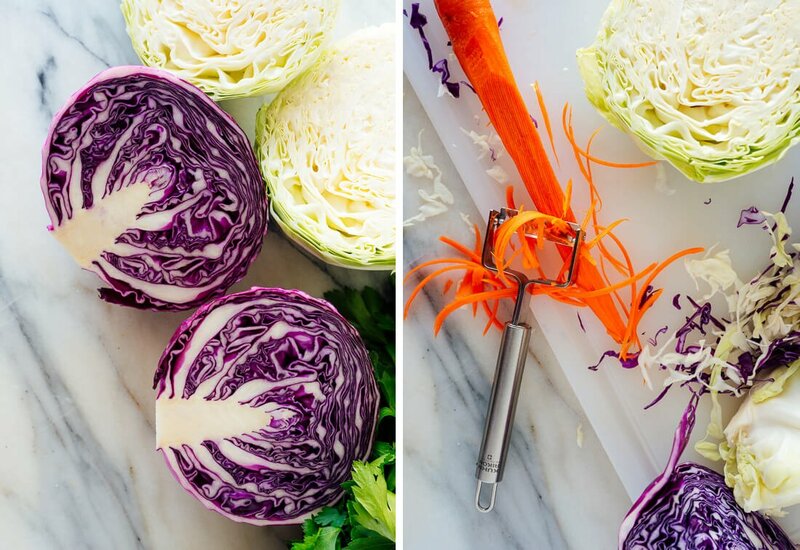 The post Simple Healthy Slaw appeared first on Cookie and Kate.